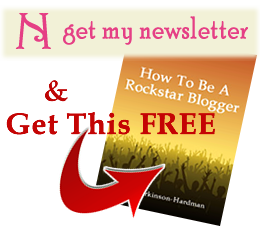 This week I have a very unusual free gift on my Thursday Throng author interview. Richie Earl, the author The Legend of Finndragon’s Curse is not only offering a free ebook copy of his book to commenters on this blog, but he’s also offering 10% of the book’s royalties for the first year to one big winner on his blog tour. To find out more about how to enter both competitions just read the instructions at the end of the interview. When I was younger I loved the stories from Enid Blyton, my favourites were the Magical Faraway Tree and the Famous Five adventures. Even today I’ll quite happily pick up a copy of one them to flick through. The Legend of Finndragon’s Curse has many of the same qualities as those books; it’s a gripping adventure which would be ideal for younger but accomplished readers. The characters were all believable and the scrapes they found themselves in, although not of this world, had the ability to capture the imagination and draw you in. My only gripe about it was the over use of the word ding-bat, but then maybe that is more a reflection of my age than anything else. I enjoyed it so much though I’m now reading the second book too. I’m a Registered Nurse who worked for a clinical trials organisation during the 90’s. Whilst conducting a study into a new treatment for high blood pressure, one of the volunteers taking part told me of an unexpected and embarrassing side effect he was experiencing. I asked what he thought I could do about it, and gave him some advice. He then told me that each of the other five volunteers had the same side effect. Had I been wiser, I could have made my fortune by investing in the pharmaceutical company who had manufactured the drug. A couple of years later, the drug that I’d discovered, Viagra became a bestseller. The strange thing is that both of these extracts are from the same review. So what did I learn? I think the main learning points for me are: I’m going in the right direction as a writer. However, I could do with being a little less descriptive at times, whilst maintaining the pace of the story. The names of many of my characters are special to me, but none more so than my three protagonists, Emma, Megan and Scott. These characters are based on my own children, and have been bestowed with their middle names. The characters were born in nightly bedtime stories, before I listened to their advice and wrote The Legend of Finndragon’s Curse. I think Steve Martin would be ideal if he were younger, although I’m not sure he could pull off a Welsh Valleys accent. I’d like to say that Arnold Schwarzenegger would be needed for my body double during intimate scenes, but his ‘twin’ Danny Devito is probably more appropriate. One thing that would have helped this process with book 1, would have been to seek the help and advice of beta readers. When I first heard the term mentioned, I had to Google it to find out what it meant. 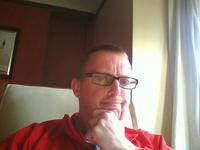 Then for Return to Finndragon’s Den, I recruited 14 beta’s, with eight giving regular feedback. Of course you could hire a professional editor if you have the budget, but I like the idea of beta readers. They don’t just pick up on spelling and grammar, but also find flaws in the plot. Probably most importantly, they represent a cross-section of readers and can tell you whether they like it or not. It would be easy to look at the success of other writers and envy their achievements, but that would be a negative way to look at things. I choose to use success stories as motivation and inspiration. During the day I drink copious quantities of tea. But as I sit here, after midnight answering these questions, I find a bottle of red wine helps to lubricate the wheels of creativity. Before committing the perfect murder, I would have found employment as an embalmer with a local undertaker. My victim would have been dismembered and frozen, and then body parts inserted into the abdominal cavities of corpses before cremation. Richie has not one, but TWO competitions running. The first is for a free ebook copy of The Legend of Finndragon’s Curse and you can enter that by leaving a comment at the end of this interview. The second is to win 10% of his Amazon Kindle sales profits and to enter that competition you will need to visit his own website and follow the instructions you find there. It involves getting the answers to a series of questions that are posted in his first blog tour. In August I’ll pick a winner for the free ebook and let Richie know who it is and put you both in contact with each other. 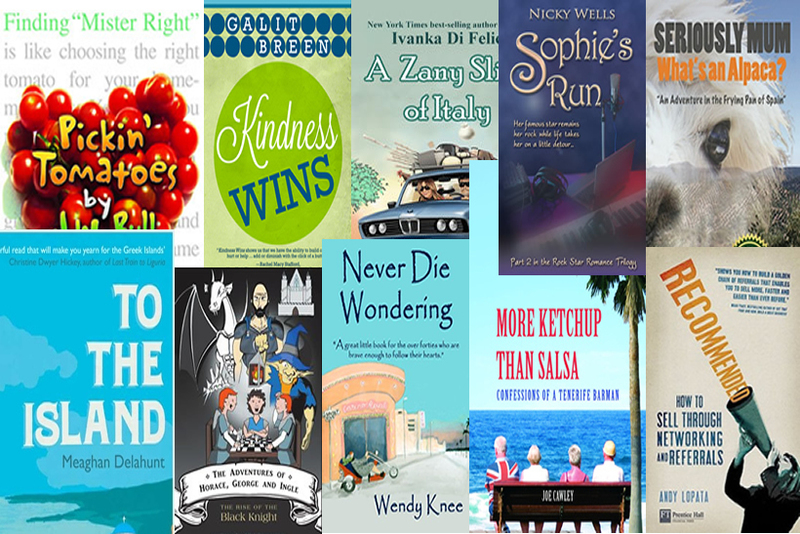 Where can you find out more about Richie and buy his books? 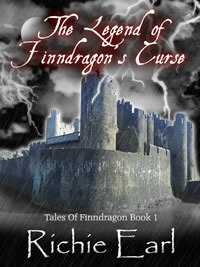 The Legend of Finndragon’s curse is available in Kindle format from Amazon.com and Amazon.co.uk. I have always loved adventure stories of faraway places, and some of my best memories are of sitting with my two girls nestled about me as I read out loud Dumas or Heinlein or Stevenson. As an author, for a brief moment you can transport families to amazing places. I would love to read this book!. The interview was very interesting. I like his answers very much, particularly the first question’s answer. Haha!. Thanks for the giveaway. Very unique giveaway indeed! I find that all my Thursday Throng authors are intriguing in their own way, but I have to admit that this was definitely one of the most unusual interviews and giveways Naznine. And the winner is … Bill. Congratulations and I’m sure your book will be winging it’s way to you very shortly. I must apologise to Linda, and to Bill for not sending out Bill’s prize until now. There are several reasons why it’s taken me so long, but no excuses. Nevertheless, I have just sent out copies of both books in the series, which I hope Bill receives and enjoys.